COS is pleased to introduce Conifera, a large-scale 3D printed architectural installation made from renewable resources by London-based French architect Arthur Mamou-Mani and his eponymous studio. The site-specific work, situated in Milan’s 16th century Palazzo Isimbardi, will be will be open to the public for the duration of Salone del Mobile, 9 -14 April, 2019. Digitally designed and fabricated, Conifera has been created from seven hundred interlocking modular bio-bricks, 3D printed in a mix of wood and bioplastic. 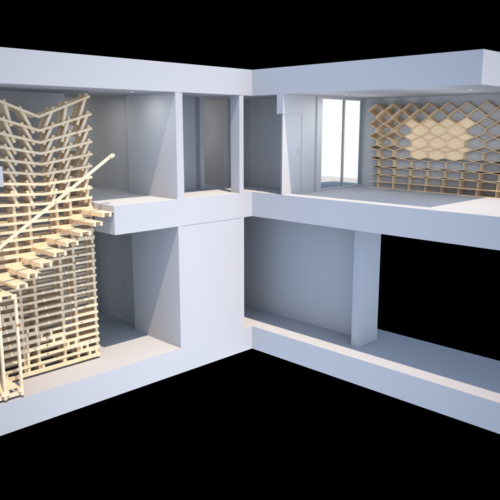 Aiming to be one of the largest structures to date conceived and realised using this method, Conifera reflects a new generation of architecture, showcasing advances in material innovation, technology and creativity. 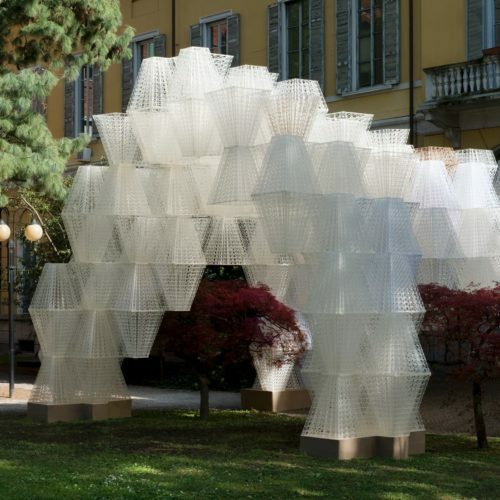 The installation is formed in modules that shift from a wood and bioplastic composite in the courtyard through to translucent bioplastic in the palazzo’s garden. Each bio-brick is made from fully compostable resources printed in the form of interlocking structural lattices, optimising material use and allowing light to permeate the structure as visitors travel through the installation. The result is a journey from the manmade through to the natural world, and from the old to the new. Inspired by patterns within the palazzo’s architecture Arthur Mamou-Mani explained, ‘the geometry of Conifera comes from the square motif which is very present at Palazzo Isimbardi, through the courtyard to the tiles. 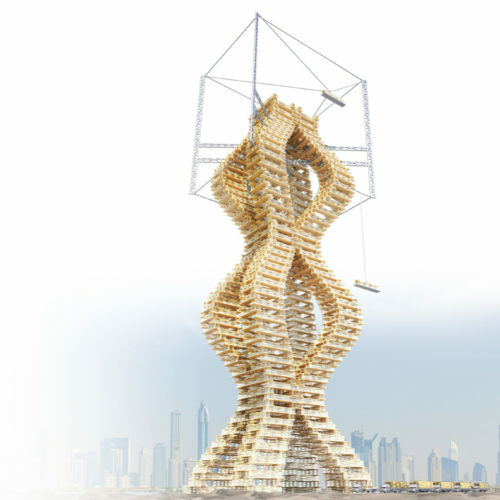 I wanted the piece to echo the circular nature of the compostable material and create a journey from architecture to nature in order to showcase how renewable materials, coupled with an algorithmic approach and distributed 3D printing, can create the building blocks of the future”. The installation marks COS’s eighth consecutive installation during Salone del Mobile and its first collaboration with Mamou-Mani. Conifera will be open to the public from 9th – 14th April 2019 at Palazzo Isimbardi, Corso Monforte 35, 20122 Milan, a historic building dating from the 16th century.